I know what you’re going to say. No, ancient farmers did not practice genetic modification. They didn’t stick a gene from a walrus into the corn plant – but then again modern genetic modification doesn’t do that either. Time to take a look at various genetic modification techniques used since the dawn of agriculture – let’s see what is the difference between GMO vs non-GMO foods. Crossbreeding is probably the earliest form of genetic modification. 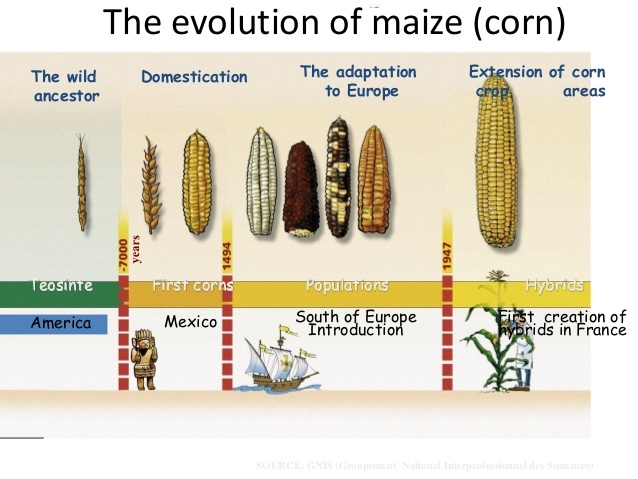 Let’s go back to the wild ancestor of corn, teosinte. In a large field of that grass, there’s probably wide variation in the genetic make up of those plants. Maybe some of those plants have more kernels per “ear.” Maybe some mutated to produce two “ears” instead of one. Maybe one has a larger “ear.” In crossbreeding, the farmer chooses the plants with the traits we desire then combines them sexually to create an offspring that has the traits of both of the parents. This is then repeated over and over again, domesticating a corn plant that within a few generations will look nothing like the wild teosinte. Crossbreeding requires something – regular mutations of the plant’s genome that allows for new and more useful traits. These mutations could be a result of random genetic variability, or some environmental force, like radiation from the sun. Without these mutations, which may gives us bigger kernels or some other desired trait, crossbreeding is mostly ineffective. Let’s be clear here. This is a form of genetic modification, because a human being does this cross breeding to artificially select for the best traits. This is, of course, a very slow and ponderous way to modify our crops, but as soon as we domesticated livestock and plants to do our bidding as humans, we entered the world of GMOs, no matter how much you want to resist that fact. But let’s look at other methods used in GMO vs non-GMO foods. Mutagenesis is the driving force of evolution. For evolution (natural or artificial through crossbreeding) to work, there needs to be a background level of mutations that bring out new characteristics in plants that are beneficial to agriculture. There’s a myth that all mutations are bad, but in fact, evolution depends on frequent mutations that forms a background pool of new genes that might come in handy to the species. In natural selection, an environmental trigger may select for a specific mutation in a small set of the population – within a few generations, the organisms with the beneficial mutation will outcompete the ones without it. And suddenly, you have a change in the population. In agriculture, at first, we had to wait for these random mutations to happen. But that was a slow process whereby a farmer may have to wait several generations for one stalk of corn to have a mutated gene that caused a longer ear to grow. Mutagenesis helps us speed up the random genetic variability by inducing mutations in plants at a higher rate than is found in nature. Radiation, chemicals, and several modern techniques have been used over the past 100 years or so to induce mutations in various plants to create traits that didn’t exist before. Then crossbreeding these new traits back to the existing line, develops a new variety that is more and more distant to the wild ancestor of the plant. Polyploidy is a technique to increase the amount of chromosomes in a crop. Most plants have two sets of chromosomes, like most organisms – however, there are numerous instances where plants become polyploid naturally. Potatoes, wheat and canola all have species and subspecies that are polyploid, occurring as a random “natural” mutation. On the other hand, crops can be forced to become polyploidy, usually by treating the seeds of the plant with colchicine, a chemical extracted from the crocus plant. It forces the gamete (the seed), when it divides, to have half the cells contain 2X the chromosomes, while the other half have no chromosomes. Its use in agriculture may go back 1000 years or so. The benefits of polyploidy are important to agriculture. For watermelons, polyploidy inhibits the development of seeds, so we get seedless watermelons, which is certainly less messy. On the other hand, some crossbreeding causes sterile offspring, so polyploidy is used to allow the seed to be fertile. I hope that point was clear – crossbreeding is a genetic modification that needs to be occasionally fixed by another genetic modification. Now, early farmers, having no knowledge of genetics, DNA, or evolution, probably discovered polyploidy plants, like potatoes, that were more robust and nutritious than related species of the same plant. So again, using artificial selection through crossbreeding, these polyploidy potatoes may have been crossbred with a plant that had different characteristics giving us the modern food. Protoplast (or somatic) fusion of cells or cell components is used to transfer traits between species. For example, male sterility is transferred from radishes to red cabbage by fusing their cells. Or resistance to a virus is transferred from a wild potato plant to the domestic one. In this case, not one gene is moved but the whole chromosome set, causing a polyploidy between two different species of plants. Protoplast fusion is not done in the field, as opposed to the three previous genetic modification techniques. It must be done in the lab, and is a fairly recent technology, first used in 1972. Somatic fusion is one of the staples of current technology to improve crop species by introducing favorable traits from related and non-related plant species into the crop genome. Transgenesis is the additions of genes from any species to create a new variety with desired traits. For example, the rainbow papaya is modified with a gene that gives it resistance to a destructive virus. Transgenesis is extremely useful in manufacturing drugs. For example, the human insulin gene is inserted into E. coli, which then produces large quantities of human insulin that is used by diabetics to control blood sugar. But it also used in agriculture to confer characteristics of the donor gene to the plant. One of the best examples of transgenesis is to introduce a gene into rice so that it produces beta-carotene, a precursor to vitamin A, a crop called “golden rice.” It is intended to produce a fortified rice which can be grown and consumed in areas with a chronic shortage of vitamin A, a micronutrient deficiency which is estimated to kill 670,000 children under the age of 5 each year. Genome editing is a method to use an enzyme system to modify the DNA directly within the cell of the crop plant. This requires the scientist to precisely identify the gene to be modified, then to controllably mutate it to provide the desired outcome. For example, many herbicide resistant plants are developed using genome editing to create an herbicide resistant gene. Almost every modern crop (and most livestock) has little visible relationship to its ancestors that existed just prior to the advent of agriculture around 10,000 years ago, which on the scale of evolution is like 5 seconds ago. Using artificial selection to select for random mutations, sometimes forcing more mutations through different means like radiation, or genetic modification, humans have created objectively better foods. The difference between artificial selection by waiting for a mutation or inducing a mutation is not scientifically significant. One takes generations of waiting, and the latter is relatively fast. And since genes are all made up of simple nucleic acids, that are the same across the planet, and they cannot transfer themselves to humans or other organisms. The naturalistic fallacy, that is, the belief that things that are natural are inherently better than man-made, artificial things, is what drives a lot of thinking about GMOs. According to anti-GMO activists, “natural” activities like cross breading are not dangerous. But “artificial” changes to our food, from mutagenesis to genome editing, are somehow bad. Except for the time factor, crossbreeding has the exact same net effect as genome editing. When we consume food, our digestive processes do not distinguish between one gene or another. When our gut sees DNA or RNA, it simply breaks it down from chromosomes to genes, and finally into one of only five nucleic acids which is then absorbed into our blood. The original gene is long lost. And it doesn’t matter what is the source of that DNA – all of the nucleic acids are exactly alike, whether it’s from corn, salmon, or golden rice. It’s not going to miraculously stay as a whole gene and somehow attach to your intestinal wall – that’s not how genes are transferred, and if it were, modern medicine would have to have wholesale changes in thinking. Crossbreeding takes time, sometimes generations to get the trait you want, like that bigger ear of corn. Other genetic modification techniques, like mutagenesis, speed up the rate of mutations, but still utilize the shotgun approach – you’re not sure what trait you’ll get, and there are bunches of failures before you get it right. The more modern genetic techniques, like protoplast fusion, transgenesis and genome editing, what I believe most people consider “genetic modification,” are just more efficient. Theoretically, one could sit around for 1000 generation of a particular crop, and a random mutation (or set of mutations) will have one offspring that has resistance to a particular virus or fungus. Then the farmer would crossbreed that plant with all other to create more seeds with that particular trait. We shorten that up saving that corn crop from a destructive disease. Genetic modification shortens the span of time to get the exact same trait. Is there any difference between the corn plant where we wait for the mutation and the corn plant where we induced or introduced the trait? To humans, animals and the environment, no there is little or no difference between the two kinds of plants. Except using GMO techniques allow us to produce more, higher quality crops to feed the world. People seem to endow “nature” with a special status that is ridiculous. Evolution proceeds along a random process, and genetic engineering allows us speed up the process in very narrow areas of food. If you think that evolution is controlled by some outside force that is “good,” and human interference is “bad,” then we have vastly different ideas about science. Evolution has no goal. It is not guided by anything. Natural vs. artificial evolution has no underlying value, either good or evil. Speeding up evolution of a corn plant so that we have more food for more people sounds like a good idea. As for GMO vs non-GMO foods? There’s no difference unless you have some obscure, miracle mechanism in your body that detects genes. But tell me about it, so I can win a Nobel Prize describing this fascinating mechanism. Black RE, Allen LH, Bhutta ZA, Caulfield LE, de Onis M, Ezzati M, Mathers C, Rivera J; Maternal and Child Undernutrition Study Group. Maternal and child undernutrition: global and regional exposures and health consequences. Lancet. 2008 Jan 19;371(9608):243-60. doi: 10.1016/S0140-6736(07)61690-0. Review. PubMed PMID: 18207566. Previous PostPrevious GMO sugar vs natural sugar – can you tell the difference? 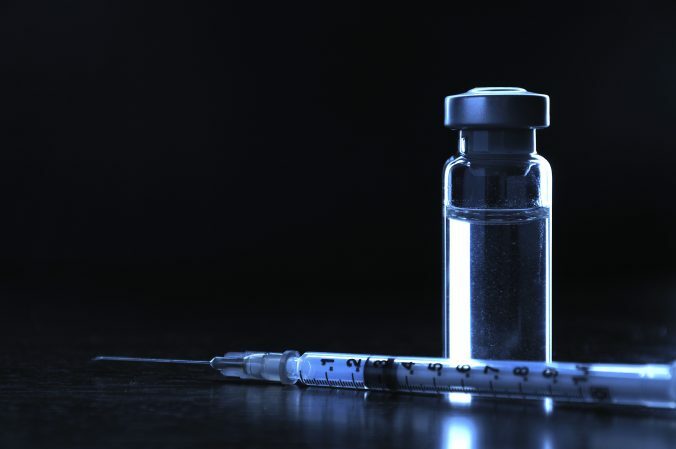 Next PostNext Diane Harper, lead Gardasil researcher – what are the facts?